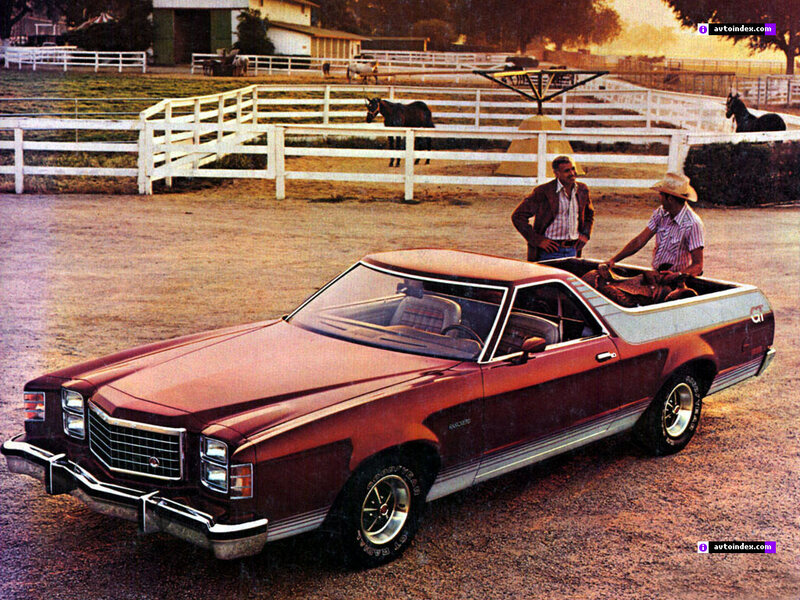 The 1979 Ford Ranchero was the final year for the stylish car-based pickup truck. Ford’s Ranchero had been introduced as a 1957 model. The sleek model was based on the stylish full-sized passenger Ford Fairlane. Over the years it rode on a compact frame and was later designated as an intermediate. The 1957 Ranchero was cobbled together with parts from Ford's two-door station wagon and the Skyliner. 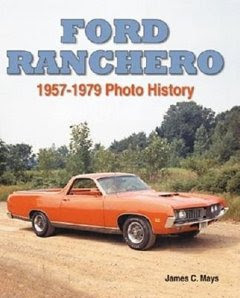 Ranchero came full circle in its twenty-third and final model year; it once again rode on the longest wheelbase Ford offered in passenger cars. Just as General Motors had done the year previously, the newest and final incarnation of the LTD-the full-sized Ford-was downsized to a 2 098-millimetre (114.7-inch) wheelbase for all models. 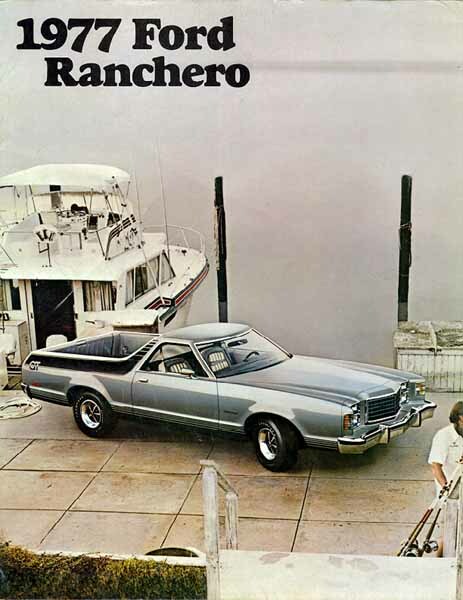 Ranchero, though still an intermediate-based vehicle, was now larger than the marque’s flagship! 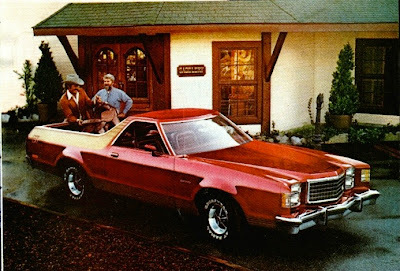 There was little corporate enthusiasm left for Ranchero. Touted in what little literature was published as a truck that offered “full-sized comfort and economy,” Ranchero owners were also promised a “full measure of enjoyment.” Even the lowest priced 500 model now came with SelectShift Automatic transmission, a V-8 engine and a mind boggling host of standard equipment including power steering, power brakes and steel-belted radial tires. The very upscale Squire and the sporty GT models were continued virtually unchanged from last year. To spark sales the boys in marketing field tested a Limited Production Package. A very small number of these Rancheros were built and sent out to dealers at mid-year. They came equipped with dark red leather interiors, centre-folding arm rests, a power driver’s seat, factory air conditioning, power steering, power brakes and cruise control as standard equipment. These Rancheros’ power windows, door panel pod controls and full-length armrests were borrowed from the sumptuous Mercury Cougar XR-7. Each Ranchero was crowned with a vinyl roof and dressed to the nines with Magnum 500 wheels or wire wheel covers. Order from DRB Transport Books, 800.665.2665 10a-5p Eastern Time. The very luxurious 1979 1/2 Ranchero carried a frighteningly high-price tag, over $10,000 but wore only a wide wheel lip moulding and a vinyl top to dress them up. Plain looking, almost drab on the outside, they languished on dealers’ lots. Part way through the trial period, dealers were shipped additional mouldings and instructed to paint the wide insert moulding to match the vinyl roof. The extra dress up trim was a bid by management to help dealers move the slow selling vehicles. Alternately, Ford sent out stripers to decal three stripes onto the rear quarter panel. Finally judged as too expensive to sell in the general market place, the idea was ultimately scrapped three months before the end of the model year. The irony was that the late entry, half-year model ceased production before the regular 1979 models. Those few that still do exist quickly became highly sought after by collectors. 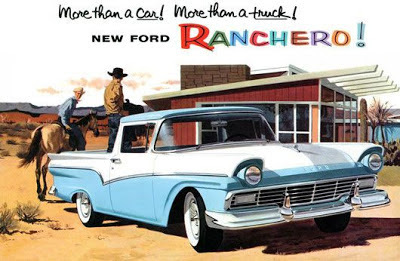 Without advertising to promote them and nothing new in the pipeline, Ranchero fans could hear the death rattle for their beloved truck. There were Ford dealers who didn’t even bother to offer Rancheros in 1978 and 1979. 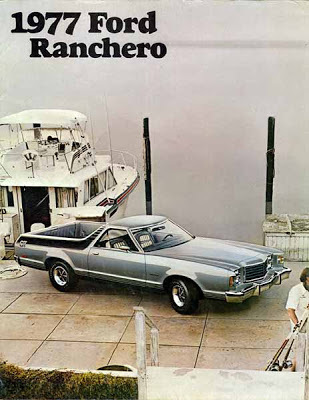 In its final year, Ranchero sold a paltry total of 25,010 units. Breakdown was 12,093 of the 500 models while the sporty GT stood at 12,159 units delivered and the upscale Squire sputtered out at only 758 units. 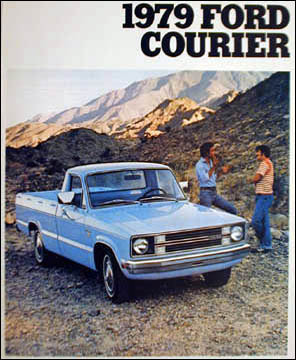 Ranchero was being widely outsold by the Econoline at 184,722 units and the hot, smaller Courier, that racked up a clean 75,761 sales. Total Ford truck sales for the model year were 1,198,308 units. It was game over for the car-based truck and Ranchero was laid to rest. 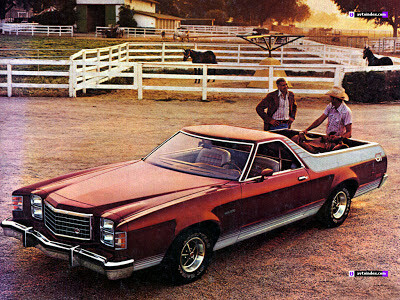 There was no Ranchero in the 1980 lineup because there was no suitable car to hang it from. Ford officials told the press bluntly that Ranchero was a casualty of upcoming stringent federal safety regulations. Officials said further that Washington’s dictates were taking so much of its corporate time and resources that there was neither time nor money to adapt the Ranchero theme to one of Ford’s new compact car platforms. Ranchero would not die a quick or easy death. A last ditch effort to keep the stylish hauler in Ford's stable nearly succeeded. 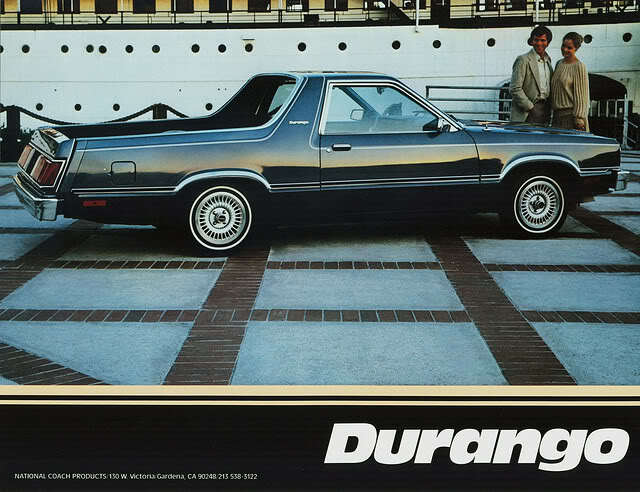 A total of 211 prototype Ford Durangos was built under contract by National Coach in New Jersey. These were based on the new Fairmont Futura Coupe. An additional trio of Mercury Durango pickups was cobbled together, too. 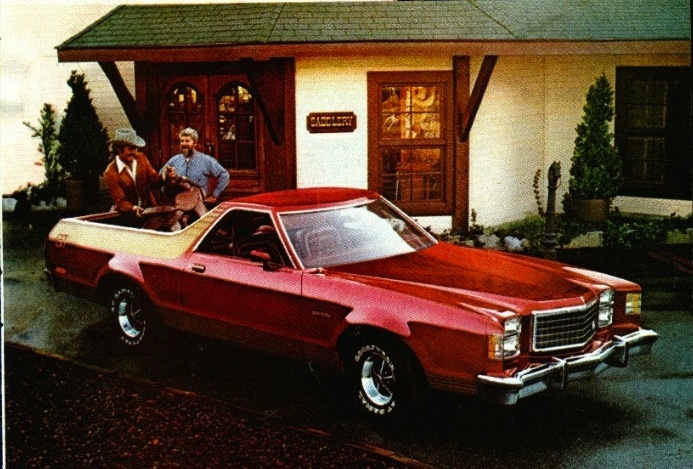 They all used a reinforced fiberglass bed cut down from the 1979 Ranchero. A unique full-width tailgate incorporated the taillights and the license plate holder in the tailgate assembly. That meant they could not be driven with the tailgate open. A sticker on the doorjamb, next to the data plate, warned drivers not to do so. In anticipation of an order of 25,000 units, National Coach spent a substantial chunk of change to greatly enlarge its factory capacity. It was for nothing. In the end, the project was scrubbed. All 211 of the trucks were all sold off quietly to consumers in 1981 and 1982. A Ranchero, based on the Crown Victoria, was cobbled together and used at Ford as a parts chaser. Refitted several times, its last update was in the mid-'80s. Proposals to resurrect the Ranchero are made from time to time within Ford, but others argue more successfully that a revived passenger-car based truck would only cut into sales of the highly popular Ranger. 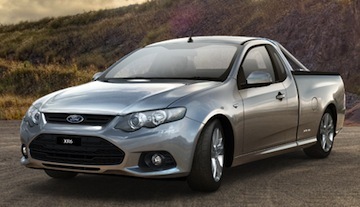 The 2013 Ford Falcon Ute Mark II is built in Australia. Even though Ranchero disappeared from North America it soldiered on gallantly in permanently entrenched markets in Australia, South Africa, New Zealand and Argentina. 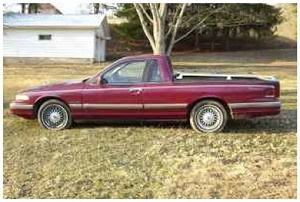 The last Argentine Ranchero was built on September 21, 1991. Still based on the compact 1960 Ford Falcon body, it was powered by a four-cylinder Peugeot diesel engine. The South African, New Zealand and Australian markets still offer solid markets for the pickup cars. Today there are more than 25,000 dedicated individuals who have preserved Rancheros. It is estimated that 100,000 Rancheros, or one out of five ever built, still exist. Don’t rule out the possibility that the pickup car may return to the market one day. Should it ever happen, there will be plenty of Ranchero fans ready to buy!